We will do everything we can to help anybody, whatever your background, to go as far as your talents will take you." This was the promise made outside Number 10 Downing Street following the appointment of Theresa May as Prime Minister in July 2016. Less than 5 months later, the Government's Child Poverty Unit was axed. 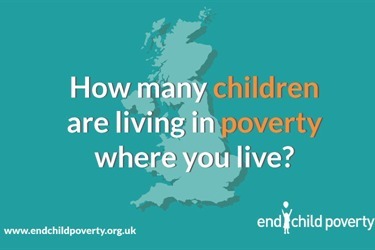 Last month, I received the incredibly saddening news from End Child Poverty coalition that a staggering 32% of the children in my constituency of Mitcham and Morden are living in poverty. They are 8,598 of the 700,000 children across our capital who are living below the poverty line, defined as a minimum acceptable standard of living. In fact, there are now constituencies in London where more than half of children are growing up in poverty. I felt so strongly about this deplorable issue that I organised for a debate in Parliament. A childhood in poverty often leads to an adulthood in poverty, a shorter and less fruitful life. And no, work is no longer the best route out of poverty, as the majority of children in poverty grow up in a working household. At the debate, I read a letter that I have received from a local Head Teacher. In it, she outlined so many extraordinarily sad examples of child poverty in her school. When a child lost his reading book, she encouraged him to look under his bed. His reply, 'I don't have a bed to look under'. At lunchtime she sees children eating their lunch very quickly, protecting their plate with an arm as they eat. And when one child was asked what he would do if he won the lottery, he would buy lots of bread and porridge as that is what fills you up. And so, I asked the Government Minister directly in the debate why they are not acting to ensure that the letters of a postcode will not be the determining factor in a child's life.